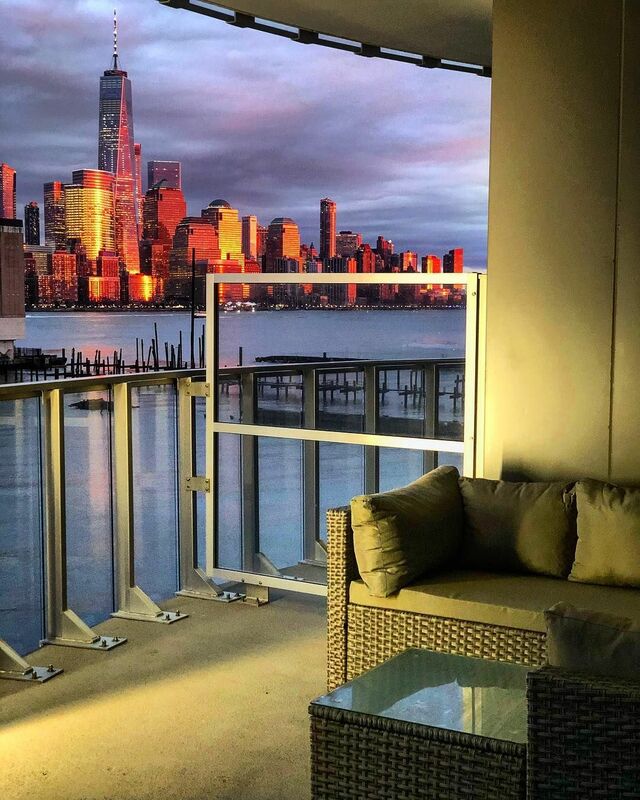 Whether it's the shops, the cozy bars and restaurants, the views and activities, or just some unidentifiable vibe that this community exudes, Newport is making its way in becoming one of the most up-and-coming and beautiful neighborhoods around New York. The people, rising luxury architecture, and a booming subculture scene are all factors that give Newport that extra something that makes it more intimate than other neighborhoods. 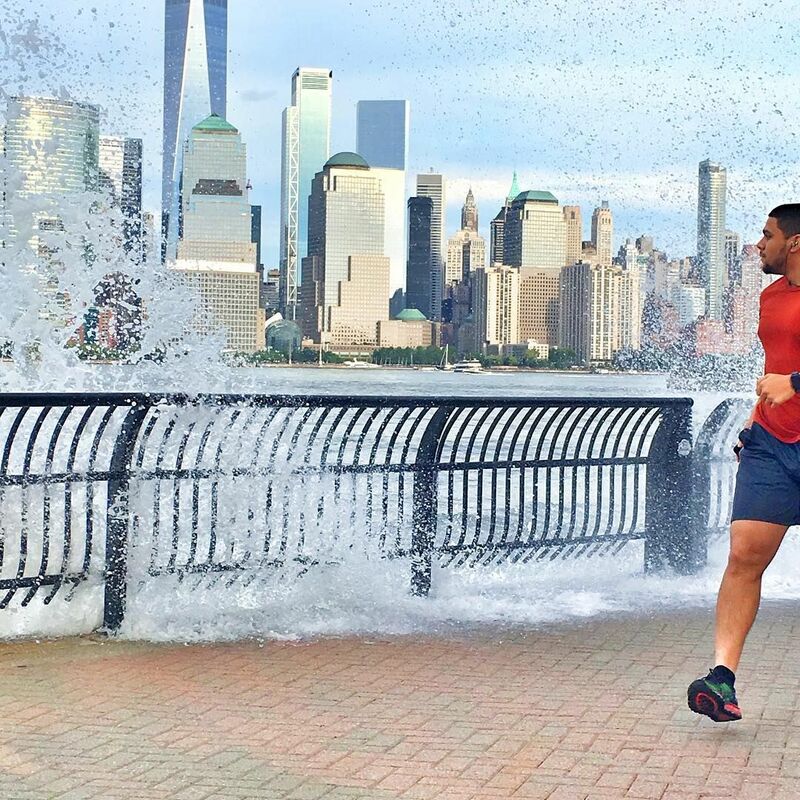 New York City may be the first place you think of when it comes to diversity and beauty, but it's time to think beyond. 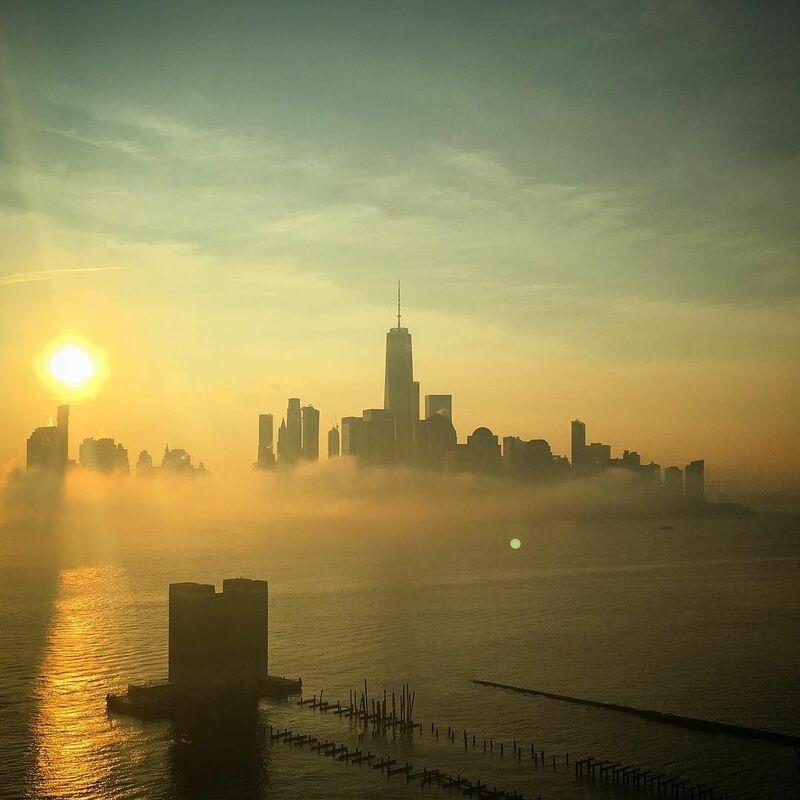 We've scoured photos submitted by our residents to give the best that Newport has to offer. 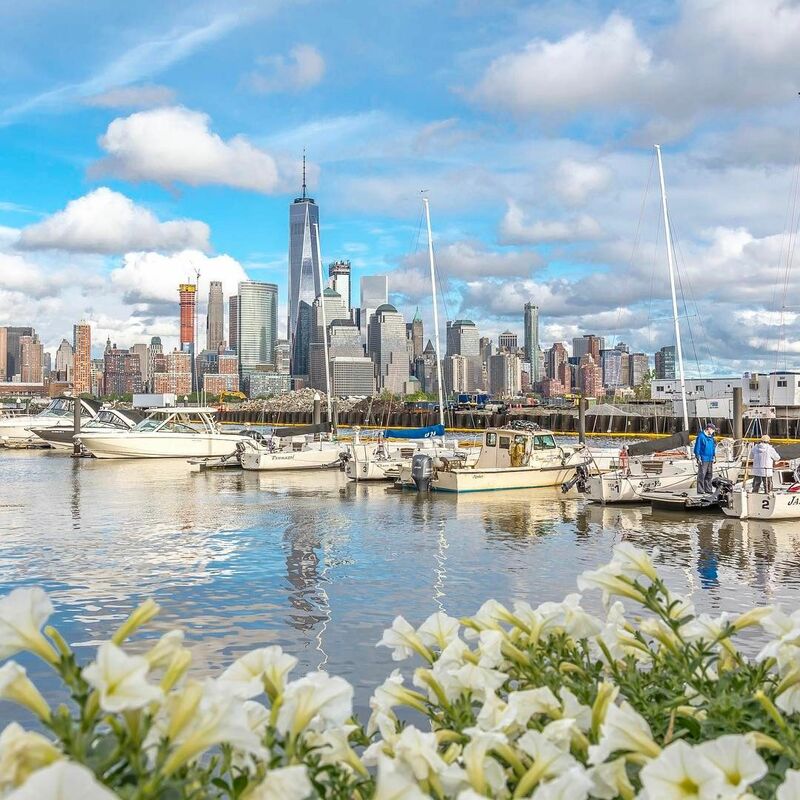 Newport Waterfront photo provided by the very talented @droncula - make sure to follow them! 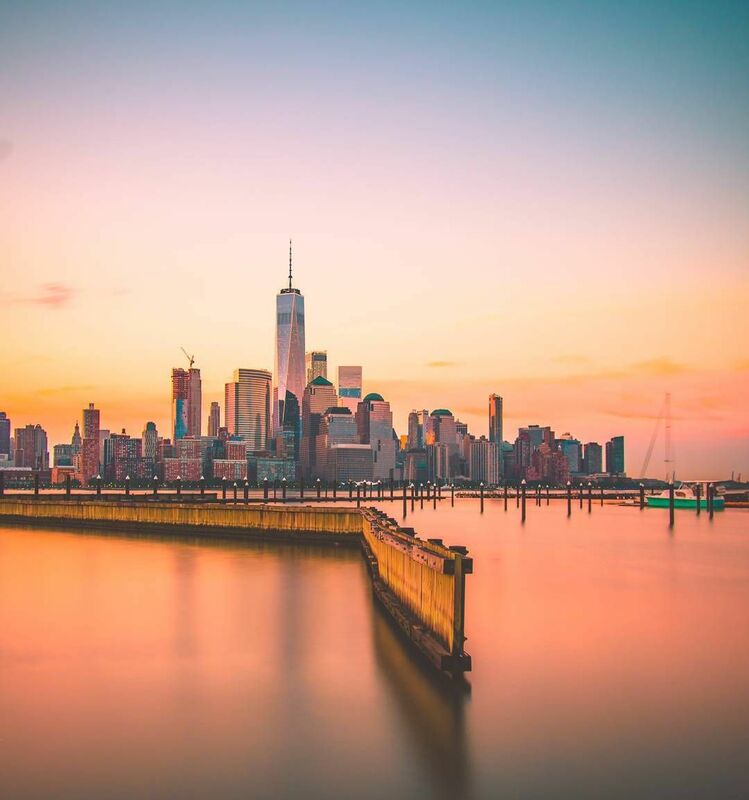 Sunset at Newport Waterfront, photo provided by the very talented @m_bautista330 - make sure to follow them! 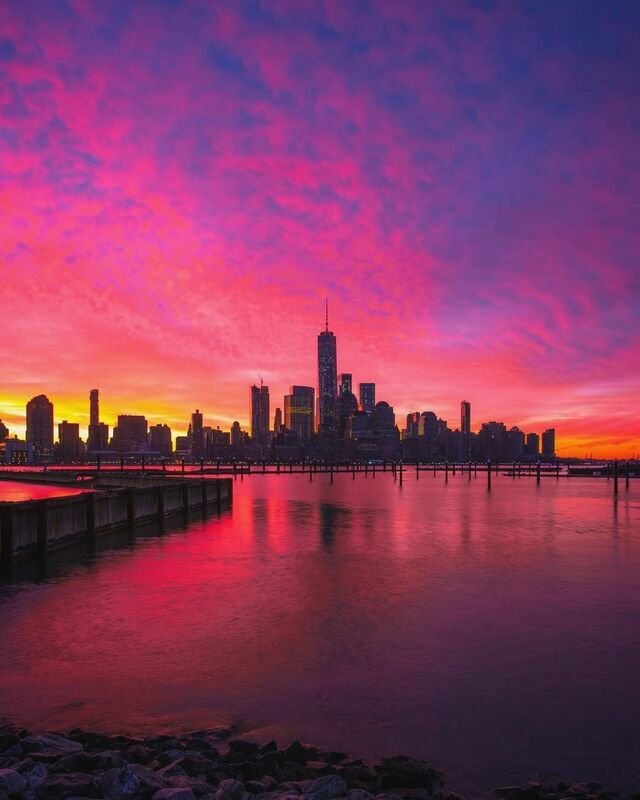 Newport Waterfront photo provided by the very talented @mitzgami - make sure to follow them! Photo by the wonderful @kobrastreetart - thank you for allowing us to repost your picture! 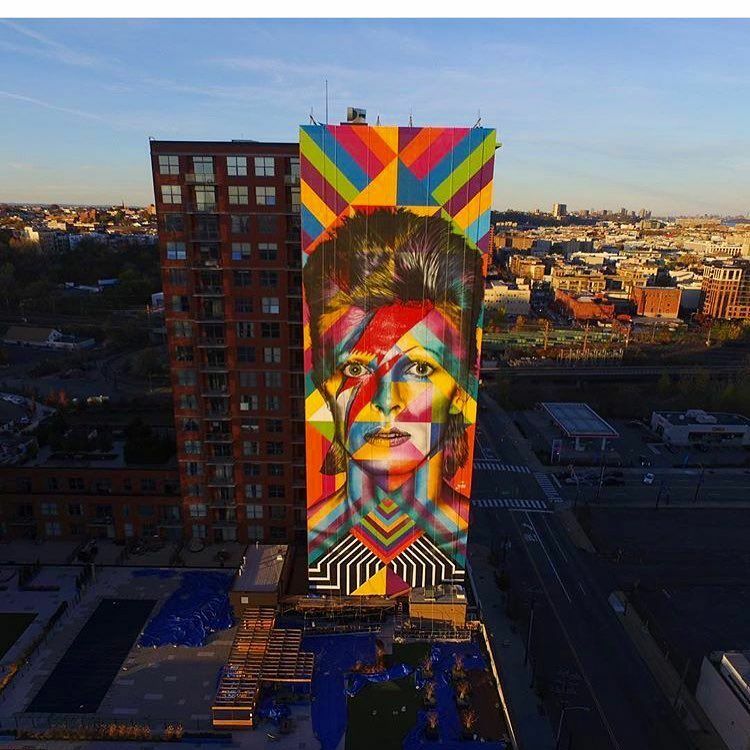 This 180-foot mural of the iconic pop star David Bowie, at 837 Jersey Avenue, is being painted by world-renowned street artist Eduardo Kobra, who earlier this year set a Guinness Book world record for the "largest spray paint mural by a team" with his Rio 2016 Olympic Games-inspired "Ethnicities." 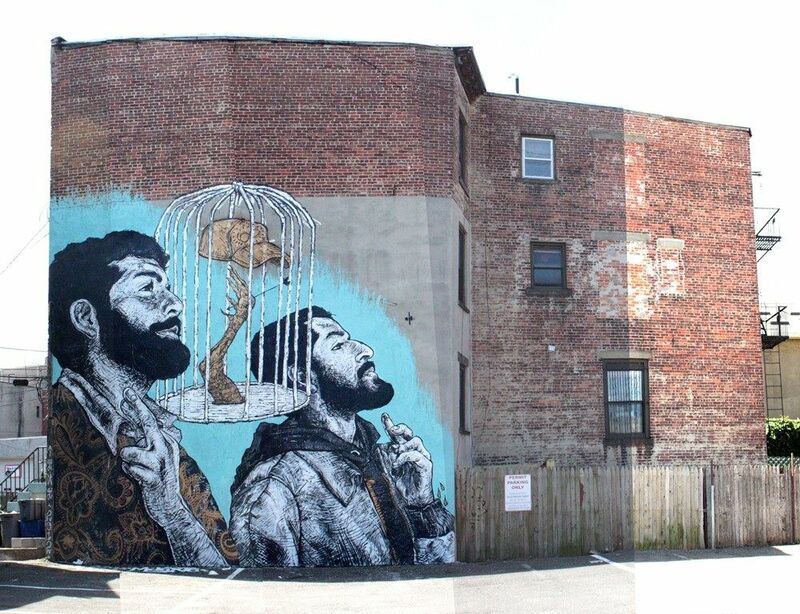 Kobra's project took about two weeks to complete and is part of the Jersey City Mural Art Program. 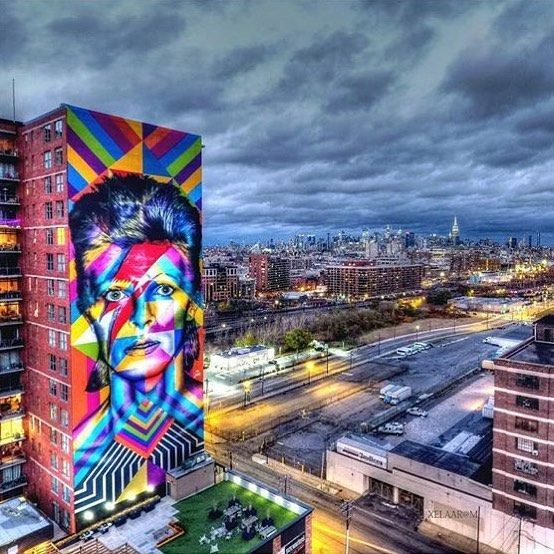 Jersey City officials say that because much of Kobra's work represents fraternity, respect for the other cultures and acceptance and love for differences, he was a logical choice to be enlisted in the Jersey City Mural Art Program. "Jersey City has one of the most diverse and expansive mural arts programs in the country and we couldn't be more excited to welcome Kobra to contribute to the artistic landscape of our city," Jersey City Mayor Steve Fulop said. Jersey City goes way back with its Hispanic roots and this wall which is situated at La Conguita, a long established part of the downtown JC Hispanic community since 1967, was the perfect location for an artist like Mata Ruda, who thoughtfully considers this community in nearly all of his work, to paint a mural here. Gaia is a New York City native that is on the list of Forbes 30 under 30 list in Art and Style. 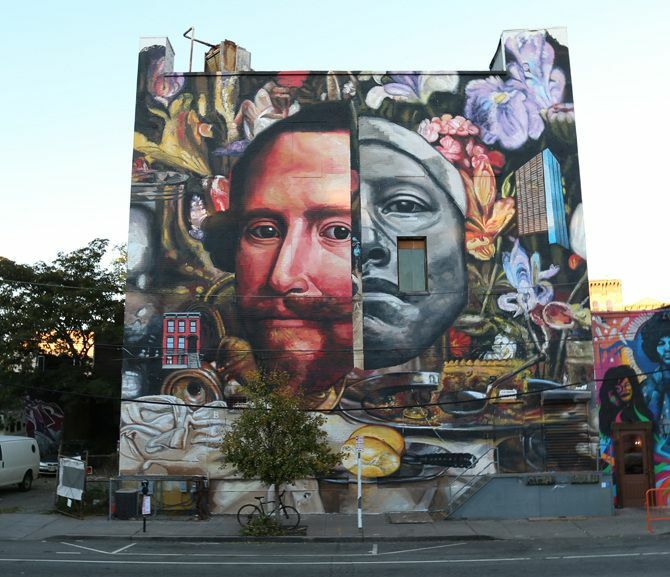 He became one of the most famous street artists in Baltimore before graduating college due to a pop-up street art show through Ad Hoc Art in Brooklyn and his early work at the Maryland Institute College of Art. 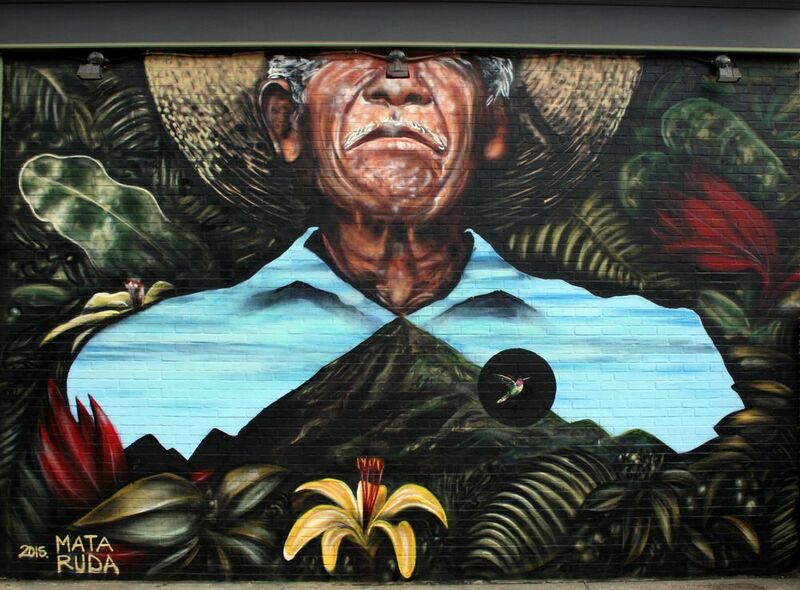 LNY is an artist, large scale muralist, educator, and organizer that migrated from Cuenca, Ecuador at an early age. His work highlights the stories of having a cross-cultural identity and the life of a migrant while also exposing issues of injustice, racism, and xenophobia in the world. 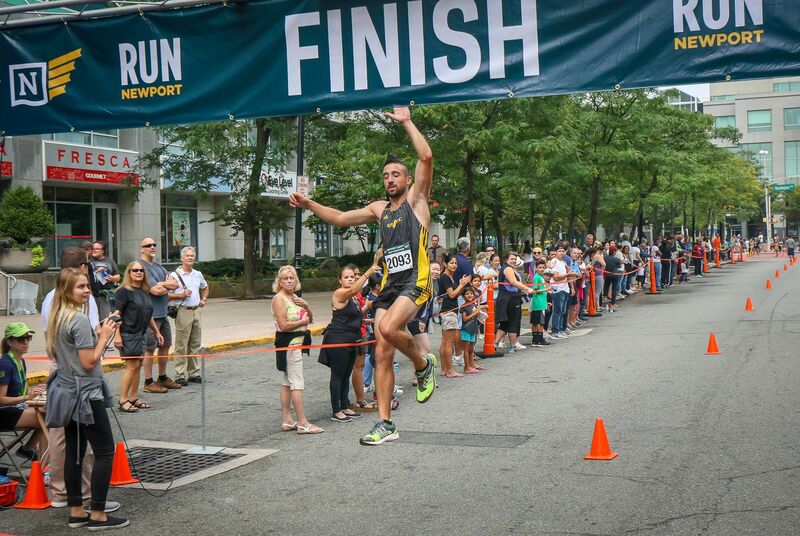 It's impossible to live in Newport and not notice all of the awesome events like the Newport Half Marathon, Riker Danzig 10K, Tree Lighting Ceremony, Pumpkin Carnival - and in the summer, outdoor movies events and beach parties. Besides offering real community authenticity, you can easily rent a bike from Newport Bicyle -- the waterfront boardwalk is ideal for scenic walks, jogs, or bike rides. Pic by the beautiful @pearlsofblissdom - thank you for allowing us to repost your picture!